Traveling throughout the United States provides many opportunities to visit historic areas. The east coast is full of great places to visit and stay. From Maine to Florida, plenty options present themselves for those wanting to make the journey. You can visit many landmarks in New York City, Washington D.C., Boston and many other cities along the east coast of our great country. New York City provides many landmarks, Broadway shows and other choices for entertainment. From incredible boutique shopping to five-star dining, NYC offers a little bit for everybody. If you love the big city and you want to visit one of the most historic cities in the country, a trip to New York City should be on your list. A little further north, you will find the New England areas, which is where it all started. Our country was founded in this area of the east coast. You can learn quite a bit about US history with many of the landmarks in the area. While visiting Boston and other cities within the area, staying at The Hilton Boston location will offer a good central area for your trip. Dining in Boston offers some of the finest seafood in the world. You can enjoy a great lobster dinner at one of the finest restaurants in the area including The Lobster Pot or Eastham Lobster Pool. Both provide quite delicious meals and are well known within the area. Of course, a trip to the east coast isn’t complete without a visit to Plymouth Rock. This is one of the most popular Massachusetts landmarks and the most visited rock in New England. Found within the smallest of the state parks, Pilgrim Memorial State Park, you can visit the rock that started it all. According to historic legends, Plymouth Rock is where the Pilgrims first landed when they arrived in 1620. The rock isn’t as large as you would expect, but once was a boulder. When the first residents decided to preserve it, they watched the rock split in two and many visitors over the years have decided to take home a portion of the rock. However, now it’s displayed safely. Another very good choice for your east coast trip is The Freedom Trail. 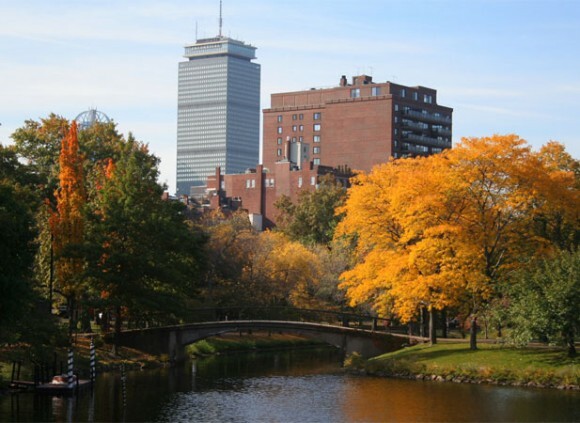 This is a great tour to help you take in all that Boston has to offer. The two-and-a-half-mile walking tour visits 16 different sights, including the Old South Meeting House, USS Constitution and Boston Commons. You can even explore on your own, but if you want a guided tour, you will get some of the history along the way. Whether you decide New York City, Washington D.C. or Boston is the place for your next trip, the east coast will offer you history and fun. Many of the areas along the coast offer more than just the landmarks, but it’s always important to take in some of the sights, as well.